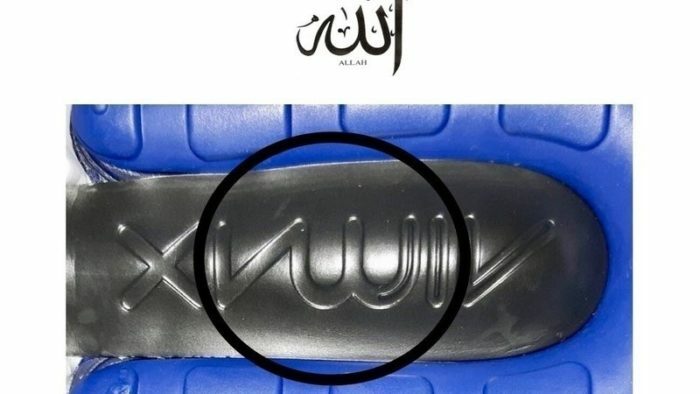 Nike has clarified that the AIR MAX logo on its shoes, said to resemble the Arabic word of “God”, is unintentional. This comes after a netizen pointed out the similarity between the two. In a statement to Marketing Interactive, a Nike spokesperson said that the AIR MAX logo was designed to be a stylised representation of Nike’s AIR MAX trademark. It is intended to reflect the AIR MAX brand only. “Nike respects all religions and takes concerns of this nature seriously. Any other perceived meaning or representation is unintentional,” the spokesperson added. An online petition was also launched “recall offensive shoe with Allah’s name from worldwide market” and has obtained nearly 42,000 signatures in less than two weeks. The petition said the word “Allah” will be “trampled, kicked and become soiled with mud or even filth” and deemed the design to be “disrespectful and extremely offensive”. It also called out Nike for breaking its promise to tighten scrutiny on logo design after allegedly recalling trainers in 1997 with a similar logo. CONTENT@SCALE is a suite of proprietary products that combines technology, publisher partnerships and in-house specialists to enab.. The partnership leverages Alibaba Cloud technologies and Lancôme’s beauty products to bring consumers interactive online and offli..